I was just reading an article you wrote about playing violin by ear. My daughter goes to a Waldorf-inspired school. 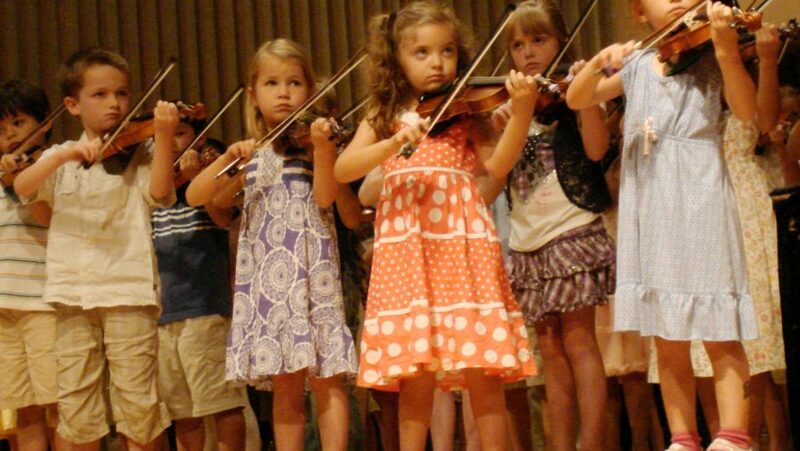 In 4th grade she started violin class at school. But she doesn’t always come home inspired to play! I’d like to supplement her school classes by doing something at home, to boost her enthusiasm. I took some violin when I was a girl so I have the basics and I can have fun with her at home. I tell her violin is like singing with an instrument and I encourage her to think of a song she knows really well and to pick it out on the violin by ear. I would love any pointers or ideas you have on this. I’m glad you’re working with your daughter! In fact, you might start with a single note. That develops something that is hardly ever trained in traditional instruction — the ear! I heartily recommend Irish music teachers, as well. They are used to doing that very thing. less intricate, but there are more of them (and more interesting versions) than we use in the West, as well as more interesting rhythms. In Arabic music, taksim (“tok-seem”) or musical improvisation is key. In India, every performance is all about musical improvisation — it’s like “spiritual jazz”. So you’re setting up your child for a lifetime of growth and development — or, at the very least, fun. Of course, that is all years away — but those are areas you can explore, too. And your daughter will have fun learning from you, as you learn and grow. Thank you so much for your detailed and fast response! I do still have my old violin – and I will definitely practice the call and response. I’ll have to get creative and hope she gets the technique she needs from school. I know a fair bit but I’m not too confident I can impart all the important pieces of technique. That was really wonderful to hear. Awesome. By all means let me know how it goes. previous learning quickly, and make it even more fun for her. yourself, with her help. When she finds a note before you do, let her show you where it is. You can be in charge of putting all the pieces together, and helping her with the parts she’ll inevitably forget! Can’t wait to hear how it all works out.